I just returned from a powerful and refreshing weekend spent with our GTN staff, who traveled from all across the country to attend our annual staff retreat. The transformative work of God’s Spirit was so evident in the stories that were shared. God is truly doing some amazing things around the world in and through our GTN staff! I am humbled that, by His grace, we get to be a part of this work. On Saturday morning, I began our time together by sharing an overview of this past year and our vision for the coming year (and decade). Part of the morning was spent “unpacking” one of GTN’s seven key values: the idea of being “grace-oriented” in all that we do. We desire to be an organization that emphasizes grace, both in salvation and in how we live in relationship with one another. We want to be the type of people who are grace-oriented in both our personal and ministry spheres. We recognize that legalism kills, but grace gives life. We desire to be known as an organization that has an unwavering commitment to the grace of God in salvation (we are saved by grace alone, through faith alone, in Christ alone), as well as a grace orientation in how we interact in our personal relationships with one another (Romans 14). I wrote these seven values (as well as most of the thoughts that are written below) back in the Summer of 2004 when GTN was birthed. These values have guided us as an organization through the years. Each year at our staff retreat I like to reiterate our commitment to these values, especially to the value of living a “grace-oriented” life. I thought I would share with you a portion of my notes from this past weekend on living “grace-oriented.” For those of you that know me, you will realize quickly that these thoughts are not new – I have been sharing them (and trying to live them personally) for most of my ministry life. There is nothing I would love more than to have my epitaph read, “Here lies a man who never ceased to be amazed at the grace of God in his own life, and therefore tried to always give the same grace to all he met.” I hope these thoughts will be an encouragement and blessing in your life. One of the things that I am deeply committed to is creating an environment within GTN that is filled with grace (first and foremost) and secondarily, allowing this grace to overflow with genuine partnership (i.e. unselfishness) in how we relate to the larger body of Christ around the world! 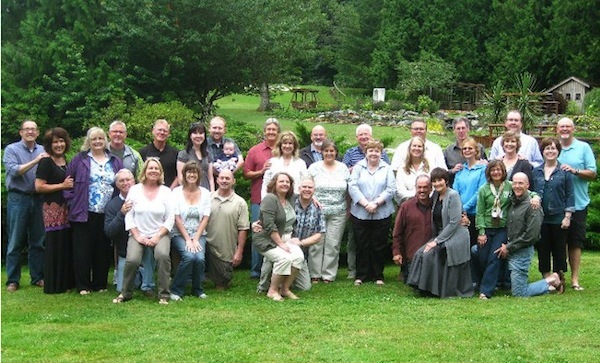 Here is how I see a “grace-orientation” being lived out among our team of fellow leaders (servants). Choose to “major on the majors and minor on the minors.” Satan loves nothing more than to get Christians to either “major on minors” or “minor on majors.” Either way, he has won the battle. To clarify, lest I be misunderstood: In no way am I suggesting that we “throw core doctrines to the wind” and embrace as partners in ministry anyone and everyone who claims the title “Christian” (or even “evangelical Christian” – aka Rob Bell, Brian McLaren, etc.). I’m not downplaying the vital and foundational place that correct “sound” doctrine plays in our lives and ministries. I am simply saying that under the umbrella that I refer to as “conservative evangelical Christianity,” let’s keep the big picture in view and not splinter or divide over secondary (or tertiary) doctrinal issues (or worse, methodological issues). A long time missionary friend of mine told me years ago (when I was still pastoring), that the one thing that broke his heart more than anything else was how bitterly divisive “missions people” are – and the heated arguments he had experienced out on the field weren’t over doctrinal issues, but rather methodological issues! They were missionaries who had graduated from the same seminary as my friend and who worked for the same mission agency, but who would no longer work with him – or anyone in his group simply because their approaches were different. It wasn’t like my friend was doing something that was harming the work in that particular country, let alone doing irreparable damage (it was actually very good and effective work in my opinion). To clarify again: I’m also not saying that methodological issues are of no importance. They are. Some methods are better than others. But let’s not throw stones at those that “do ministry” differently than we do. Let’s give grace as they grow and learn – just as we want and need grace as we grow and learn (I’m certainly thankful God didn’t “throw me out of ministry” because of “how” I was doing it – which I later learned was probably not the best way of doing it). If we come across a missionary (or other partner in ministry) that we believe is using a method or strategy that is genuinely harming the long term health and effectiveness of the ministry in that region, graciously sit down with that person and try to share with him (or her) some things that you have learned over the years about the most effective ways of doing ministry. Always approach the person and situation with humility, grace and patience. Being “grace-oriented” means that we choose to believe the best about one another and give each other the benefit of the doubt, rather than (as some organizations do) live in a constant state of skepticism and cynicism about fellow staff member’s motives, etc. Cultures of skepticism and cynicism are death-inducing, rather than life-giving (1 Cor. 4:5). Being “grace-oriented” means that we choose to value and always practice humility in how we treat one another, as well as the pastors and leaders that we serve around the world (Ephesians 4:1-2). Our desire is that we as a staff would be the direct opposite of your average “pastors’ conference” here in the U.S., where there always seems to be a game of “one-ups-manship” going on, with every pastor trying to impress all of the other pastors about how “wonderful” his ministry is. Over the years, it has always been sad for me to see how (many times) pastors will come to a particular conference and immediately try to determine the “pecking order” (and where they fit in to that order…it’s usually by the size or influence of a pastor’s church or ministry). It’s just like in the business world where an individual enters a room and immediately assesses who the “big dog” is in the room (and how close they are to that “big dog”). Surely this breaks God’s heart! Our desire is that we would be the kind of staff that models the “humble, servant leadership” that Jesus would if He were on our staff. We also choose to “rejoice with those who rejoice and weep with those who weep” (Romans 12:15). When another staff member (or ministry) is blessed, we genuinely rejoice with them and don’t allow jealousy to creep into our hearts and minds. When another staff member (or ministry) receives an $80,000 gift and we only receive an $800 one, we genuinely rejoice with them. Also, when another staff member (or ministry) is going through a hard time, we “weep with them.” We put ourselves in their situation and imagine how it would feel if we were facing what they are facing. Being “grace-oriented” means that we choose to differentiate between personal convictions and God’s clear black-and-white moral and ethical imperatives (Romans 14). We choose to give respect and grace to fellow staff members who approach ministry a bit differently than we do. Nothing has shocked me or broken my heart more over the years than the narrow, and at times rabid, divisiveness between mission organizations (and groups of churches) around the world. For some reason, people involved in missions seem to have an even greater propensity to slice and dice (with the tiniest and sharpest razor knife) every aspect of theology and, probably even more so, missions methodology. Everyone seems to think that they know how to do it best and therefore, everyone else is either “wrong” or “unenlightened.” Some of these people seem to wake up in the morning with the express purpose of looking for a new “theological or methodological” fight. All the while, people by the millions are dying without Christ! It has broken my heart as I have witnessed their unwillingness to work together and be “Kingdom-minded” in their approach. The world looks on and sees these bitter fights and wants no part of this “Jesus.” Surely God’s heart breaks and heaven weeps. Our hearts should break for the things that break the heart of God. 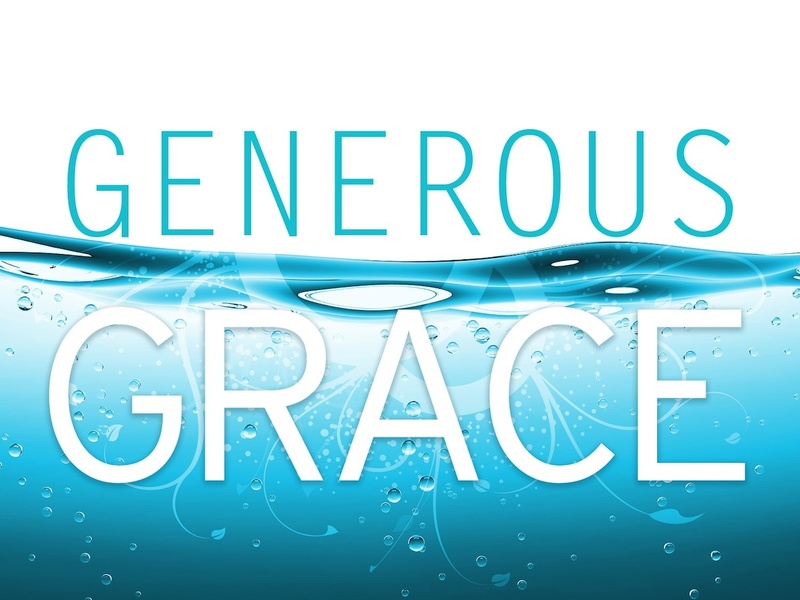 Being “grace-oriented” means that we choose to value appropriate diversity, not only in the Body of Christ (as the Apostle Paul says in 1 Corinthians 12 and Ephesians 4), but also with ministry methods and ideas. We seek to learn from one another in a spirit of humility, respect and grace. We genuinely listen to others who may do ministry differently than we do and seek to learn whatever possible that fits with how God has made us and what He has called us to do, as well as where He has called us to do it. When we do disagree with another ministry partner (either theologically, philosophically or methodologically), we do so with the utmost of grace and humility. 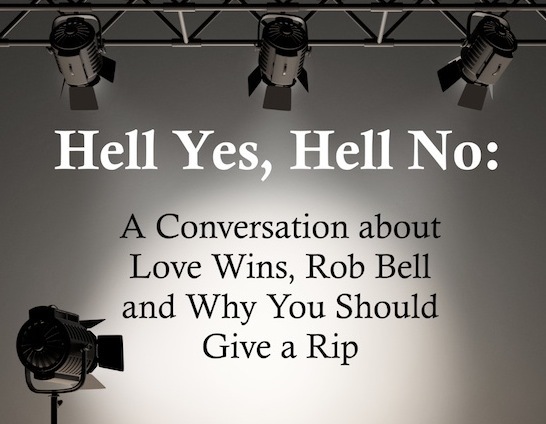 Today is my last post (part 3 of 3) discussing the subjects of hell, Rob Bell and his latest book Love Wins. The above title comes from a sermon given by Dr. Bobby Conway (you can view the full video teaching here). In 2 Timothy 4, the Apostle Paul tells us that in the last days people will be drawn away from the faith by teachers that will tell them “what their itching ears want to hear.” In other words, these pastors and bible teachers will only preach and teach subjects that are pleasing to the audience’s ears. These pastors conveniently “skip over” the tough subjects in Scripture. A word of caution: Always be careful of a pastor, a church or a bible teacher that seems to never talk about certain biblical subjects that are clearly taught in Scripture (and are of importance for people to know). They may talk about Jesus, the gospel, heaven, grace, joy, love, how to have a happy marriage, how to have a happy family, how to be good parents and many other good, biblical subjects. But they may conveniently never mention anything about things like the reality of hell (or other politically incorrect subjects – and there are certainly many more). God commands us to teach, read and study “the whole counsel of God’s Word.” Not just the parts that we like and which make us feel good. Many people in America today want a God of love, but not of holiness. A God of compassion, but not a God of justice. God is both holy and loving. He is bothcompassionate and just. I believe it was J.I. Packer who said that if he were to pick a two-word phrase that best describes God, it would be “holy love.” If you only focus on “holiness” and not love, you do not have the God of the Bible. But equally so, if you only focus on “love” and not holiness, you also do not have the God of the Bible. I think if we were all honest with ourselves, we would agree that hell is a subject that is not particularly enjoyable to talk about, think about, read about or discuss. I certainly do not enjoy preaching and teaching (and writing) on it. But Scripture makes it crystal clear that hell is real and those that do not come to faith in Christ will spend eternity there. Jesus talked more about hell than heaven. I’m convinced that one of the main reasons people cannot comprehend a literal eternal hell is because they do not understand the profound holiness of God and the utter sinfulness of mankind (all of us). I think every Christian should be required to read R. C. Sproul’s book The Holiness of God. Until we begin to understand God’s profound holiness and our utter sinfulness, we will (at best) only have a half-hearted appreciation for God’s love, grace and plan of salvation. The truth must be proclaimed, but people must never feel that we are “joyful and happy” that non-believers will spend billions of years in eternal torment with no hope of it ever ending. Just typing that last phrase absolutely breaks my heart (and makes my tiny, finite mind literally hurt). I know Scripture says that “God does not delight in the death of the wicked” (Ezek. 18:23) and “This is good, and it is pleasing in the sight of God our Savior, who desires all people to be saved and to come to the knowledge of the truth.” (1 Timothy 2:3-4). People will often say today (even people within evangelical churches), “I just couldn’t believe in a God like that” (whatever “that” happens to be – usually meaning a God that could allow seemingly ‘good’ people to spend eternity in hell).”The problem with that statement is this: They are placing what they “think” above what Scripture clearly teaches. Scripture is our final authority for faith and practice. A person’s belief or non-belief doesn’t make something true or not true. I can say, “I just couldn’t believe in a God that allows anyone to go to hell!” The fact is, it doesn’t matter whether I believe it or not – what’s true is true. And what’s false is false. My belief does not make something “true” or “not true.” I can “believe” as hard as I want that there is no hell after death, but that won’t make “hell” disappear. Christ Alone: An Evangelical Response to Rob Bell’s Love Wins (by Michael E. Wittmer). This is a review done by Douglas Phillips on The Gospel Coalition’s website. Pastor John Caprine of Summit Ridge Church in Las Vegas did a three-part sermon series on hell. The sermon titles were 1) Getting a Grip on Hell, 2) What is Hell? How Long is it? Who Goes? 3) If Hell is Real, now What? This week I want to share a few more thoughts and responses to Rob Bell’s book, Love Wins. It would be very easy for a person to read Love Wins and come away believing that people will have a second chance after they die to make a decision to place their faith in Christ, and therefore spend eternity in heaven. Scripture makes it very clear that “…it is appointed for man to die once, and after that comes judgment” (Hebrews 9:27 ESV). We see throughout Scripture that after death, there is no second chance. After death, there is no automatic rewind. What’s done is done. There is no turning back. There is no “I was wrong! What do I have to do now to make it right?” Of all the serious things in life, this certainly is one of the most serious and sobering. It is not something to laugh at or joke about. 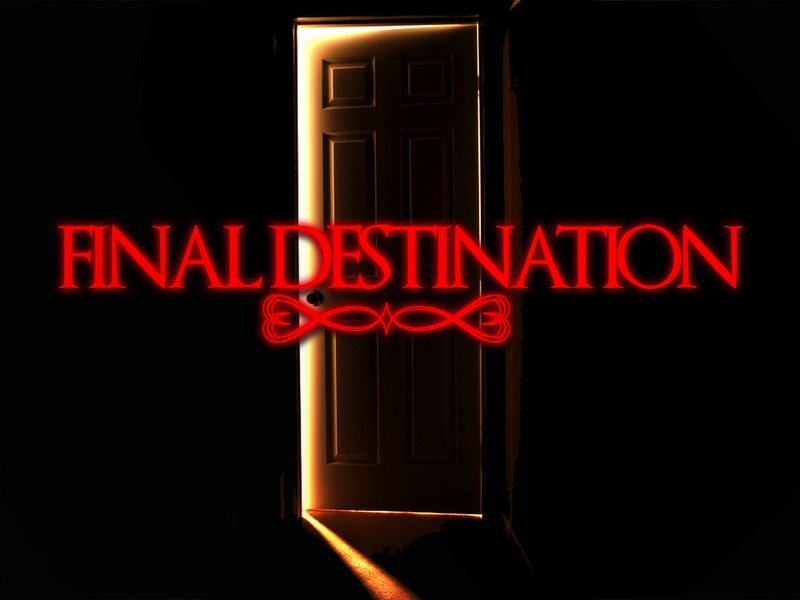 A person’s eternal destiny is at stake. After death, they would be shocked to find out that there is no second chance. No “do overs!” And that person will spend eternity separated from God in a place Scripture calls “hell.” Rob Bell could be misleading hundreds, if not thousands of people, into believing these false ideas. Scripture speaks often about the danger of being “misled” by false teaching (Acts 20:29-30; 2 Peter 2:1; 1 Timothy 4:1; Matthew 7:15; Galatians 1:18; 2 Corinthians 11:13). Last week I shared with you Randy Alcorn’s review of Mark Galli’s book, God Wins. This week I wanted to share with you Alcorn’s review of Francis Chan’s latest book, Erasing Hell. As I said last week, Randy Alcorn (in my opinion) is one of the best biblical and theological communicators in our day. His writing is easy to understand and yet theologically profound (not an easy balance). I have always found his writings to be solid and firmly rooted in Scripture. Click here to read Randy’s review of Francis Chan’s new book, Erasing Hell. I highly recommend both Galli’s book (God Wins) and Chan’s book (Erasing Hell).